Las Vegas, NV – The Wine and Spirit Wholesalers of America (WSWA) will be hosting their 75th annual convention and exposition this year. From Monday, April 30 to Thursday, May 3, wine and spirit distributors and suppliers alike will join at Caesar’s Palace to participate in the largest premier alcohol event. As a long-time partner and supporter of WSWA, Park Street will be a lead exhibitor with a pavilion in the Octavius ballroom spanning booths #404-518 where 30 of their clients will present their craft brands for attendees to taste and enjoy. Park Street will also accept meetings and private discussions, open for scheduling at booth #418. 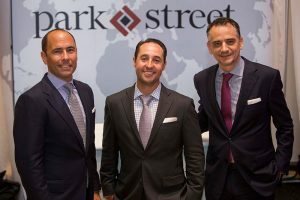 Pioneered by CEO Dr. Harry Kohlmann and President Chris Mehringer, Park Street offers an innovative platform for craft wine and spirit brands to enter and expand in the U.S. market. Park Street is a leading provider of productivity-enhancing and cost-saving back office solutions, advisory services, and working capital to several thousand alcoholic beverage brands from the US and around the world. The company’s clients range from entrepreneurs to multi-brand global suppliers, and include craft distillers, centuries-old family businesses, award-winning wineries, innovation brands, and more. WSWA will host a variety of special events throughout the four day convention, including seminars, tasting and mixology competitions, and industry forums. The signature Taste of the Industry, a grand tasting highlighting a vast array of products, is scheduled for Wednesday, May 2 at 6:30pm in the Forum Ballroom. WSWA’s 75th Annual Convention and Exposition will take place from Monday, April 30 to Thursday, May 3 at Caesar’s Palace located at 3570 S Las Vegas Blvd, Las Vegas, NV 89109. Exhibit halls include the Octavius and Augustus Ballrooms. For additional information or to schedule a meeting with Park Street at the event, please contact the Park Street Marketing Team via email at marketing@parkstreet.com or call (305) 967-7440.